Makeup and beauty !!! : Corallista 2 Year Anniversary International Giveaway! !!! Corallista 2 Year Anniversary International Giveaway! !!! An Awesome giveaway has been started in Corallista's blog in celebration of 2 year anniversary . 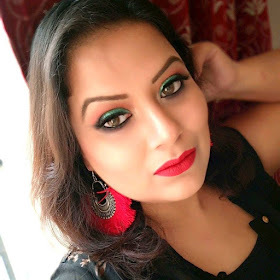 BH Cosmetics 120 eye shadow palette, MAC lipstick (shade of winner’s choice), MAC Blush (shade of winner’s choice), Lakme Absolute Ultimate Kohl and Kerastase Elixir Ultime . Rimmel London Lipstick (Shade Cutting Edge), Rimmel London nail polish (Shade – 500 Disco Ball), The Body Shop Satsuma Cube (contains shower gel, body lotion and Bath Lily) and Nivea Repair and Beauty Lip balm.